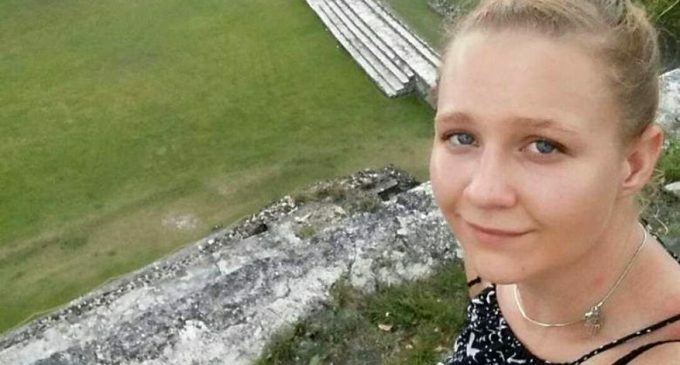 AUGUSTA, GEORGIA — Reality Leigh Winner — a former National Security Agency (NSA) contractor and linguist, and the first person to be charged with violating the Espionage Act on President Donald Trump’s watch — has signed a plea agreement, according to the Courage Foundation. Her plea hearing has been scheduled for the morning of Tuesday, June 26 and details of the agreement will be made public following the hearing. Winner was arrested in June of 2017 and charged by the Justice Department with “removing classified material from a government facility and mailing it to a news outlet.” It is alleged that the former NSA contractor provided a classified NSA report on Russian hacking during the 2016 U.S. presidential election to The Intercept. With impressive speed, Winner was arrested only an hour after The Intercept’s article was published. One week prior, a reporter with The Intercept had sent a pdf of photos of the original printed copies the outlet received, without first obscuring or removing the yellow tracking dots, as previously reported by MintPress. Most laser printers, unbeknownst to their operators, include coded metadata typically invisible to the naked eye. This code allowed investigators to easily identify the familiar government contractor involved, as well as the source printer’s serial number and the date and time the document was printed. When that information was matched up with the NSA’s printer logs, Winner was implicated. Additionally, according to FBI documents, the unnamed reporter working on the article revealed where the documents had been postmarked when contacting the government contractor, further setting the stage for Winner’s arrest. The former NSA contractor could face anywhere from a 13-month to a 57-month sentence. In the absence of a plea deal, she faced up to 10 years in prison. Her trial was set to begin in October of this year. Winner has repeatedly been denied bail, awaiting trial in a county jail for over a year. Federal Magistrate Brian Epps referenced Winner’s apparent “hate” for America and admiration for NSA whistleblower Edward Snowden as reason enough to deny her bail. “My daughter Reality has decided to change her plea. I believe that this plea is in Reality’s best interest at this time. Given the time and circumstances and the nature of the espionage charge, I believe that this was the only way that she could receive a fair sentence. I still disagree strongly with the use of the espionage charge against citizens like Reality. The use of the espionage charge prevents a person from defending themselves or explaining their actions to a jury, thus making it difficult for them to receive a fair trial and treatment in the court system. I do believe that, whatever Reality did or did not do, she acted with good intentions. I know that she will accept full responsibility for any wrongdoing and that she is ready and willing to face the consequences. I ask for continued support for her. She will need your continued support and belief in her as she continues this battle. Reality Winner had no choice but to take a plea deal. The criminal justice system is so stacked against defendants that almost no defendant can afford to risk a long prison sentence knowing that the federal government wins more than 98 percent of its cases. She took this plea to mitigate damage as best she could. To be convicted under the Espionage Act, it would only have to be shown that Winner’s actions had the “potential to cause harm to national security, with no regard to the motive for, or actual impact of, the disclosure at issue.” While the document Winner is alleged to have shared with The Intercept was shared to inform the American people of a situation they should be made aware of, she would not have had the chance to provide such an explanation if her case went to trial. The Intercept revealed just this week that state election officials were made aware of the potential hacking situation thanks only to Winner’s leak to the outlet. Winner’s case continues to raise eyebrows and cause some to question the purpose of aggressively going after whistleblowers responsible for such low-level leaks with Espionage Act charges. Winner’s will be the second Espionage Act conviction on Trump’s watch. In March of this year, former FBI agent Terry James Albury was charged with leaking classified information to The Intercept, though the outlet was not explicitly named in the FBI’s warrant. Albury pled guilty in April. Two things emerge clearly from the Winner and Albury cases: 1) The Espionage Act was not created to, and should cease to, target journalists’ sources; 2) It would behoove The Intercept to put in more effort when it comes to protecting its sources. The post Reality Winner to Sign Plea Deal on Espionage Charge appeared first on MintPress News.